Tori's Pretty Things: Tori's Pretty Nails - Who the Shrek are You? And I wouldn't call this mani a winner. This pairing was another one of those combos that sat in my mind for a few weeks. I saw these two polishes together and thought, "Yes! The perfect pairing for a glitter gradient!" But on the nail? It's just so - meh. Not every mani or idea is a winner. The important thing is to always give it a shot and see what happens! As a positive, all of my summer shades are officially worn. With roughly 130 shades sitting in my summertime bin, I'm pretty proud of that :). Plus, who knows. 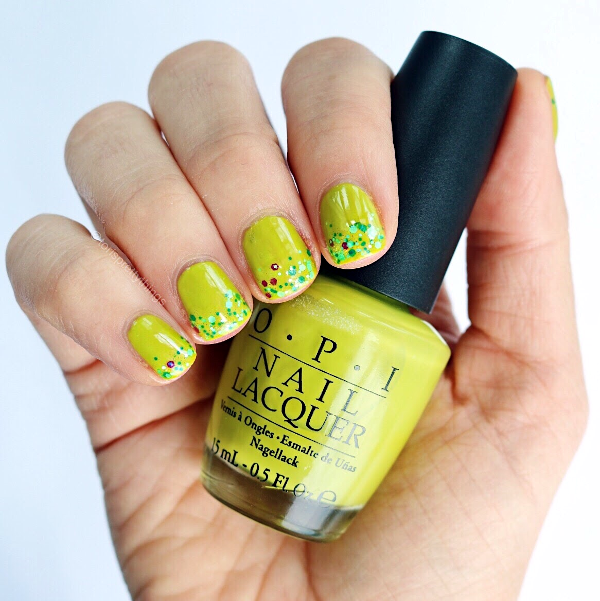 Maybe you love green manicures and this is a winning combo in your eyes! I think I'm just pretty over the whole puke-green color and that's why I'm not a fan. In terms of formula, I don't have anything bad to say about either shade! 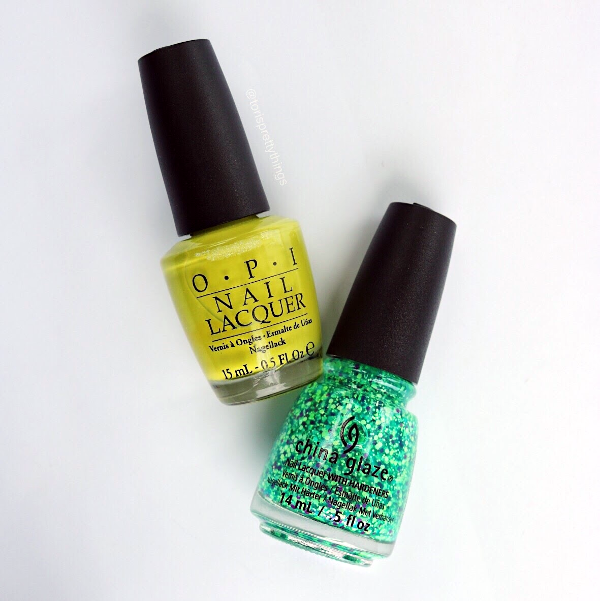 OPI's Who the Shrek are You? is such an oldie. This shade came into my life back when I really began collecting in 2010. Can I get an Untz Untz is a mix of different sized green and purple glitters in a clear base. I typically prefer smaller, much more fine glitter, but if you love greens then this is a fun one to add to your collection.